How does the way you think today define the freedom of your imagination? Unlock your established thinking and view now red color from another point of view through the amazing lens of Christiana Kokore. For me, It all starts with the way you think about creativity. Coffee through the lens of guest photographer Christiana Kokore is my way to unlock my imagination and share original ideas with open-minded artists no matter which their background. Through different perspectives, challenging established thinking, I love to meet people who have the courage to stand out of the crowd, to define a new approach to art and view reality from another point of view. It is the kind of collaboration that led me to make one step further and enjoy fashion. Start thinking RED color with Christiana Kokore, a photographer. Afterward, how to re-invent femininity through color? Stop for a minute, open your eyes and see. Christiana Kokore doesn’t consider herself as an actual photographer. She is an image maker. The RED color that has been inspired me and I am proud to share with all of you through Christiana’s photography view. We both experiment like scientists to explore RED. Start thinking RED we had the opportunity to re-invent femininity, a very different perspective of romance, a creative contrast of brights with Black & White. The red color to my eyes is loud, energetic, richly enthusiastic and non-conformist in attitude. Coffee with the photographer Christiana Kokore challenged my styling inspiration. I have chosen a long skirt in a simple shape with large scale floral print fabric to express my sensitive feminine look. From the simple “A” line silhouettes to a dress with a playful vibe.Experimental style ideas which in my opinion define freedom in fashion. Share your creativity and START NOW Thinking! START NOW Feeling! START NOW Discovering! R E D! 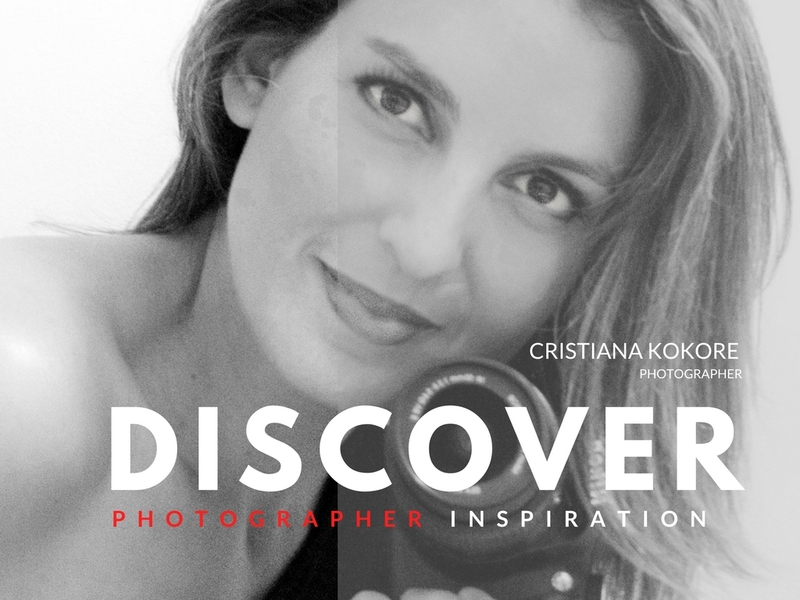 •Think-Feel-Discover: Christiana, where were you born, and what’s the story behind Christiana Kokore photographer? Let’s go back to your education and early career. I don’t really consider myself as an actual photographer but more of an image maker. I like creating pictures as they feel like rather than what they really look like. I was born in Athens, Greece. My father died when I was very young and I grew up with my mother and older brother. I have studied translation as well as European Civilization and I have been teaching English as a foreign language for many years now. •Think-Feel-Discover: Do you remember your first photography moment? My love and favor for art came early in my life since I had started drawing black and white portrait sketches from a very young age. I was always interested in painting and photography as well as sculpture. However, I was never into photography seriously until recently but only taking regular pictures, as most people do. It all started when I joined a photography group on Facebook by chance and decided to upload some of my pictures taken during summer vacation. That was when I first noticed that people really liked my pictures. In addition, the comments made on my pictures by professionals made me think of it more seriously and decided to work on it in order to improve. My first serious attempt at photography was during a trip to Aigio city where I went to take pictures in an abandoned factory. The pictures came out really great. •Think-Feel-Discover: What sort of work do you specialize in? I take all sorts of pictures. I like photographing whatever draws my eye and I pay extra attention to detail. However, what I most like photographing is people and their emotions. I like portraits that show real feelings and especially the darker ones. That is why I love b/w pictures. Because they emphasize the double nature of things – black and white, shadow and light, good and evil – and the battle between these two. I also love street photography and boudoir. Especially boudoir. I think all women are sensual creatures by nature. And it is always a challenge to draw this out of a person’s character and project it in an elegant way in my pictures. •Think-Feel-Discover: When did you first think of becoming a photographer? It wasn’t so much a thought but life kind of lead me to it. It’s a way of expressing myself, my creativity and my emotional state. Sometimes it’s my way of escaping reality. To dream. •Think-Feel-Discover: What cameras and lighting gear did you start with and what are you currently using? I have started with the Nikon D3200 kit with 18/55 lens. I currently use Nikon 7100 with various lenses. I don’t like using flash in my pictures since I prefer using natural light and thus don’t have any lighting gear. •Think-Feel-Discover: Which is your favorite lens? Why? I don’t have a favorite one. It all depends on the picture I want to create. •Think-Feel-Discover: Whose work has influenced you most? I have been influenced by many photographers such as Andre Bresson, Anka Zhuravleva, Sebastião Salgado and many others. •Think-Feel-Discover: How do you educate yourself to take better pictures? I take seminars, I read things in both books and the net and I also observe and explore a lot. I am always in search of knowledge, new things, and techniques. I am still at a very early stage but I love it and I want to improve so I try every way I can. •Think-Feel-Discover: Among your works, which one is your favorite? Why? I love all my works because each one has a part of me in it so it is pretty difficult to choose one. However, I might say that one of my most favorite ones is the one with the hand scratching a wall. This picture was taken in an instant of inspiration. I like it because it is plain, simple but powerful in emotion. •Think-Feel-Discover: Could you explain your aesthetic preferences and what ideal of beauty drives your photography? I like simplicity. Class. And I always think less is more. In general, I don’t like too perfect pictures or highly manipulated. I like pictures I can relate to. Pictures that stimulate emotions and are real. And not too busy. Plain. •Think-Feel-Discover: What does it mean Black & White photography for Christiana and how is it expressed on your own photography inspiration? As I mentioned before I like b/w pictures because, in my opinion, it emphasizes the essence of things. The structure, the details, the feeling, the contrast. The color is wonderful but kind of distracts the eye from the subject. Black and white are always more interesting because the eye focuses more on detail. •Think-Feel-Discover: What are your major sources of inspiration? My inspiration comes on the spur of the moment as well as the emotional state I am in at a particular moment in time. •Think-Feel-Discover: What does color mean to you? I very much like color. The color is energy and beauty. It’s the spice of life. •Think-Feel-Discover: What was your motive to work on a project with me as a Stylist about color? As a b/w photographer, I found it challenging to work on a color project. It is something totally different than what I usually work on. In addition, I love fashion. It’s a form of art. Therefore, a project which combines two art forms in this way is really fascinating. 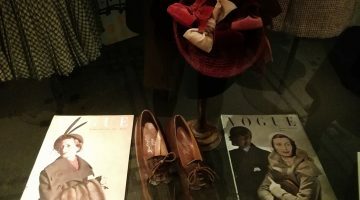 •Think-Feel-Discover: What does it mean the word FASHION for Christiana? Fashion for me is the trendy style currently followed and used in clothing, footwear, accessories, makeup. “Style” is the distinctive and self-expressive way in which a person is dressed and accessorized. •Think-Feel-Discover: What is a woman for you as a photographer? I love women. I think all women are beautiful and can offer various inspiring images. I most like photographing regular women and not models. It is easy to take a beautiful picture of an almost perfect woman. However, for me, the challenge is in taking a regular every-day woman and turn her into a model. Bring out the best of her. That’s what I try to do in my pictures. And I am lucky enough to have worked with various wonderful and very inspiring women on my projects who I thank with all my heart. •Think-Feel-Discover: How important is for Christiana Kokore as a photographer to be free to be you? As regards to photography, this is the most important thing for me. Because in my regular life I am a person of duty so I want in photography to be completely free to express myself without restrictions. It’s what I mostly like about creating pictures. •Think-Feel-Discover: What makes a photograph iconic to you? His\her creative style and uniqueness. •Think-Feel-Discover: If you could live anywhere, where would you build your dream home? On a quiet beach. With a view to sunsets. •Think-Feel-Discover: What is your motto in life? “Be true no matter what”.